All classes at Tapout Fitness Dallas, GA are led by our highly trained, carefully selected Master Trainers. And their focus is always on you. You will receive personalized attention while feeling part of the group … no matter what size class or what time of day. Use the Calendar and List View below to select your class. Tapout Fit combines exciting striking combinations with functional body weight exercises in a high-intensity, circuit-training format. Learn real boxing techniques on our innovative Focusmaster striking equipment while taking your workout to the next level. Let our certified instructors guide you to the best shape of your life with this transformative workout. 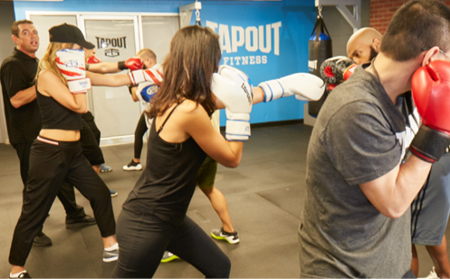 Tapout Strike was designed by our experts to teach you the signature striking combinations used by today’s world champions in a fun and friendly environment. Have a blast kicking, punching and sweating your way through countless rounds on our heavy bags, as our coaches lead you every step of the way. 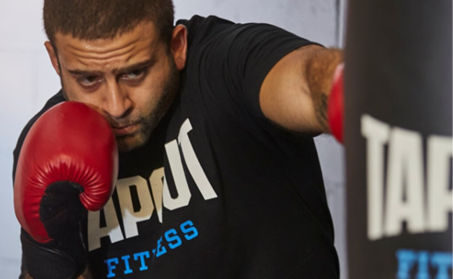 Tapout Sweat is a highly addictive, results-driven workout combining kettlebells, battle ropes and the modern equipment used by today’s champions to get you in peak condition. Get in phenomenal shape and have fun while doing it. Tapout 20 can be done in a class or on your own. This unique format takes you through a dynamic, 20-minute circuit unlike anything you’ve experienced before. This non-intimidating, express workout is perfect for the beginner, intermediate and advanced participant, and will easily fit into any schedule. 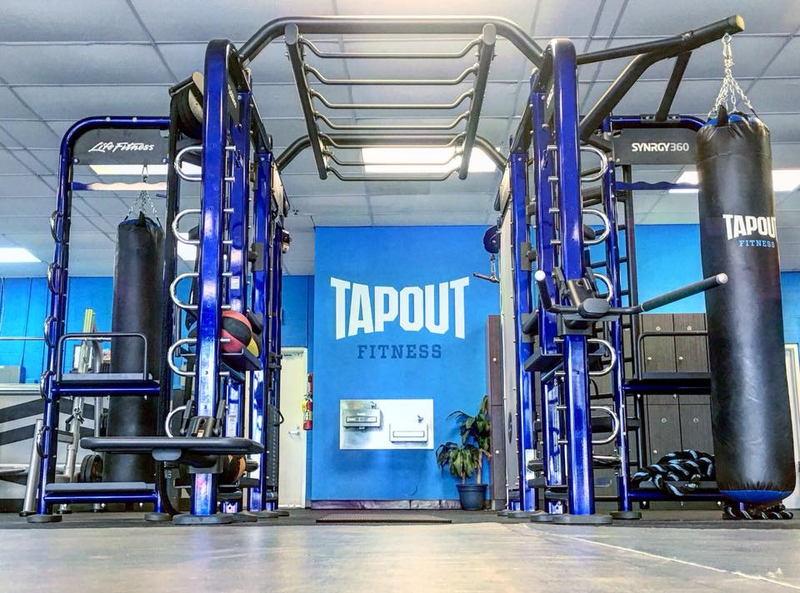 Designed by Greg Jackson, Tapout Martial Arts incorporates the techniques that the pros use and makes them accessible to everyone. You’ll not only train like a pro, but you’ll also benefit from the martial arts mind-body connection, the key to outstanding results. 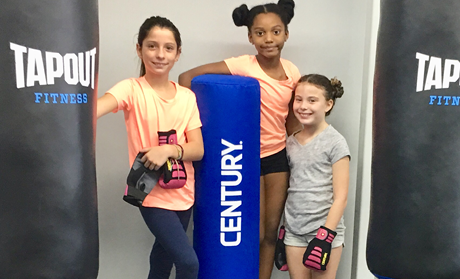 Adapted for children, Tapout Martial Arts teaches kids great life skills, including self-confidence, focus and self-defense, in a fun and engaging way.